Game 9 of the 2018 International WFTDA Championships New Orleans between Angel City Derby of Los Angeles, Calif., U.S. and Montréal Roller Derby of Montréal, Québec, Canada, the final consolation game of the weekend, was as intense as the road was for both teams this weekend. 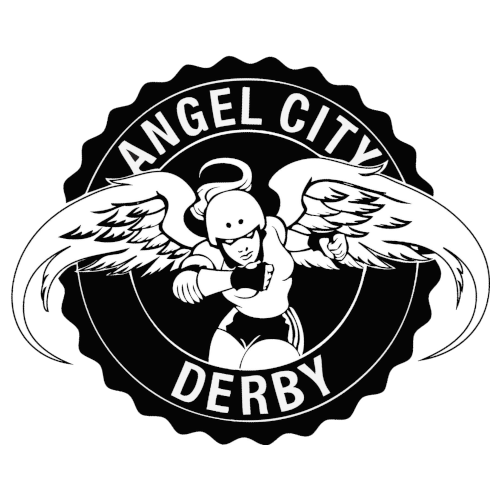 Despite a close first period, Angel City came out with the solid win 199-118. Both teams won their first game of the weekend. Montréal won in a nailbiter against Crime City Rollers (184-180) and Angel City won big over Jacksonville Roller Derby (248-85). The teams proceeded to play the two top-seeded teams — Montréal took on Rose City Rollers Friday night and lost in a respectable game (222-107). Angel City who lost to the reigning Hydra Cup champions, Victorian Roller Derby League (170-95). This game had all of the ingredients of a close match up, and up until 19 minutes into the game when Montréal led by 8 points, it was. At that point Angel City earned multiple lead jams in a row, and slowed down Montréal’s scoring. With much help from a 19-point jam by Rachel Rotten, Angel City headed into halftime with a healthy 115-66 lead. There isn’t enough space here to describe the agility demonstrations and strength and determination by both team’s jammers, or the grueling defense of both teams’ blockers, not to mention the swarming mixed-up packs that had fans wondering who was doing what. Angel City was able to lock down and force drawbacks of Montréal’s jammers more often than Montréal was able to do to Angel City’s jammers and the precious time it took to recycle impacted Montréal’s ability to score and put away the win.